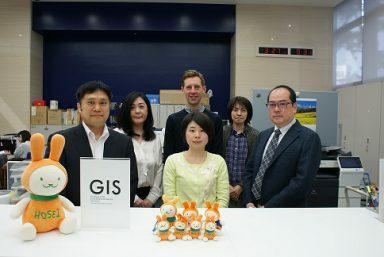 The staff of GIS are here to help you. If you have a question about campus life, registration, credits, or don’t know where to turn, please don’t hesitate to visit us at the GIS office (on the first floor of Boissonade Tower). In the GIS Reference Room (on the first floor of Fujimizaka building), you can find information and get help on study abroad, browse through books or other materials related to your coursework, or enjoy a quick chat with GIS professors who use the room for class preparation and research. A native speaker of English works in this room as well, so pop in and say “Hello” if you’re passing by.